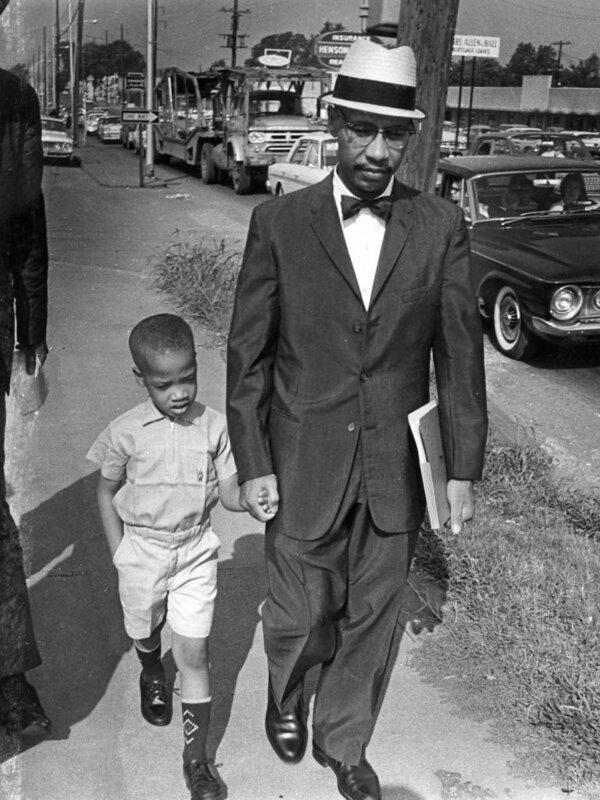 Dr. Sonnie Hereford III walks his 6-year-old son Sonnie Hereford IV to school in Huntsville, Alabama. Dr. Hereford was a civil rights leader in the community. His son became the first African American child to attend a public school in Alabama on September 9, 1963. Courtesy of the Hereford family.